The Pizza Insider is taking a break to focus on writing more feature-length stories for PMQ Pizza Magazine. If you have a great story to tell, or are performing marketing miracles at your pizzeria, please don't hesitate to contact me at Liz@PMQ.com. See you in the magazine! The goal of the Behind the Pizza Peel series is to reveal the warm--and sometimes wild--personalities that create America's favorite food on a daily basis. Who are the people behind the pizzas, and what made them choose a pizza peel over a briefcase? What's their inspiration and what keeps them going? We find out in this ongoing series. 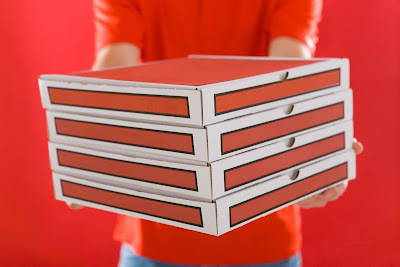 The Pizza Insider: Why did you choose to go into the pizza business? RC Gallegos: I always made pizzas growing up in Texas because you really couldn't find good pizza back in the day. So me and my friends would make pizzas at home. We didn't have all of the modern bells and whistles and training, but we were doing our own little thing with it. So I always had that passion of wanting a better pizza, but never thought I'd have a restaurant. So when the opportunity presented itself and I was wanting to open a restaurant, being in Texas, I was thinking either pizza (because that's the only food I've ever cooked in a restaurant) or barbecue because barbecue is so popular in Texas (but I had never cooked barbecue before). When I opened, I thought my pizza was good. One of my buddies from New Jersey came over to support me and try my pizza. He told me it was horrible. He said I'd be shut down in four months. I thought he was joking, but he said, "No, I'm serious; go to New York and tell me if this is the best you think you can do." So I took his advice and that's where my story really begins. The Pizza Insider: Looking back on your original goals, how do they match, or differ from, where you are today? RC Gallegos: I was a bit delusional in the beginning. When we first opened, I thought that within five years we'd have three locations, selling franchises, etc. That was the goal for the company. We're a completely different place today. That's still our pipe dream, but reality sets in and there's numbers to account for and stumbling blocks that you run into. And now with social media, everything is completely different. Twelve and a half years later we still have direction, but our guests and their experiences and our employees are really the driving force of where we are today. The Pizza Insider: Do you have a favorite memory associated with pizza? RC Gallegos: Definitely those old high school memories of making pizza at home with my best friend. Just me and him on a Friday night making pizza and talking about whatever teenage kids talk about. The Pizza Insider: When you eat at other pizzerias, what type of pizza do you order and why? RC Gallegos: When I go to other pizzerias I look at everything from crumb, toppings, marketing, menu layout, etc. There's so much to learn from other pizzerias. 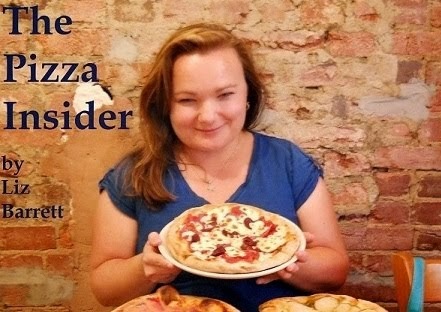 The Pizza Insider: Who are your role models or mentors? RC Gallegos: Tony Gemignani. It's unbelievable what he can do with pizza and the vision he has. I started as a New York-style pizza shop, but now I've been able to expand and offer so much more with a thin and crispy, deep dish, Neapolitan, etc. You can get a larger foothold on your market by offering a little bit of variety. Of course, in Texas, the all-meat pizza is still the most popular by far. 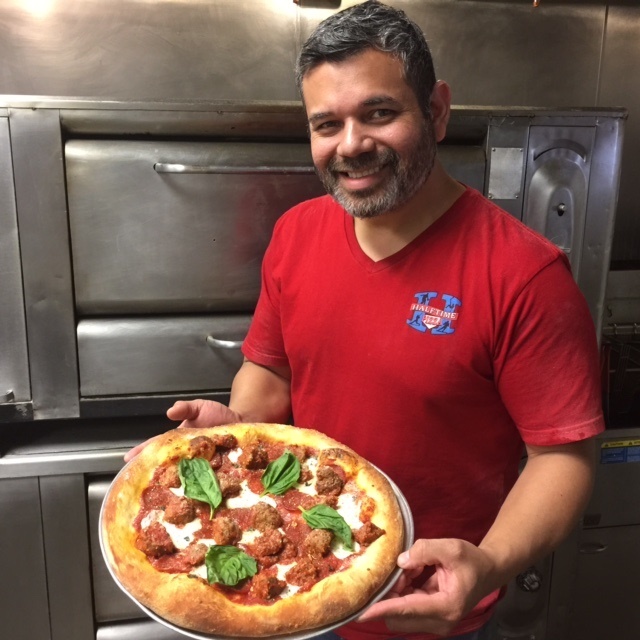 The Pizza Insider: In your opinion, what separates a good pizza maker from a great pizza maker? RC Gallegos: Passion. Even my kid who's 11 makes pizza at the restaurant. It's good, but he's not at the level of a great pizza maker yet. It's not that perfect balance--the evenness of the dough; the right amount of crust on the edge; the balance of the sauce to dough to cheese to toppings ratio. To me, that's what differentiates and defines a great pizzaiolo from a good pizzaiolo; they have that passion to pay attention to the minute details. The Pizza Insider: What’s the best advice you ever received? RC Gallegos: If you're going to do this, don't waver. Stick to your guns and don't keep changing your concept. 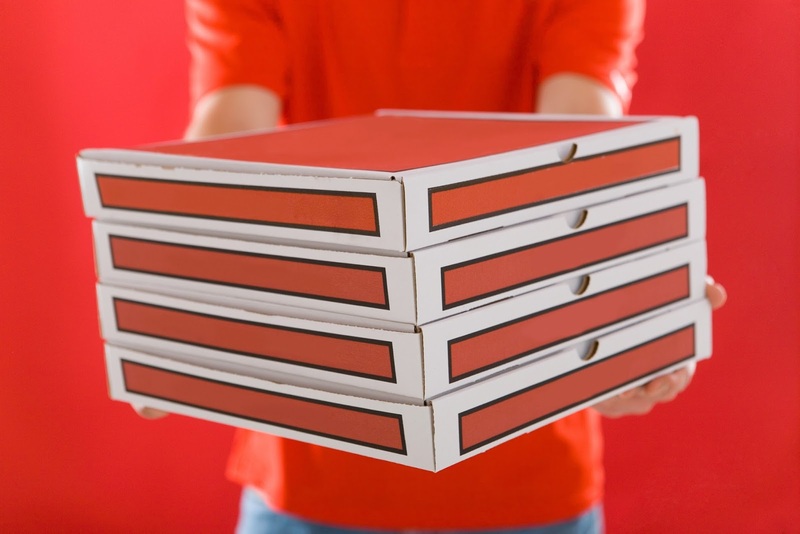 The Pizza Insider: Do you have any words of wisdom for new pizzeria operators? RC Gallegos: Don't be afraid to ask for help and don't turn help away. It's a huge industry and we all have our own niche. So many people reached out to offer me help; they've all been where I've been. I've even helped a direct competitor around the corner from me. Don't be so egocentric to think that you're the best and could never need advice or help. 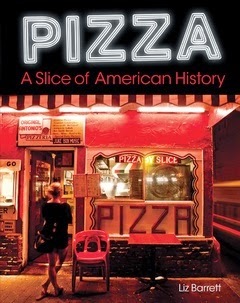 The Pizza Insider: If someone wrote a book about your life, what would it be called? Dave Garcia: My first job at age 15 was at a Peter Piper Pizza. I lied about my age and said I was 16 so I could work there because I loved pizza so much. My dad wanted me to go into the medical field and so I became a pre-med student and did a lot of studying and reading, but I wasn’t sure that’s what I wanted to do. I couldn’t separate humans from machines. Meanwhile, I kept thinking about pizza and how it’s surrounded by celebration. I ended up asking the advice of my dad’s doctor, Dr. Carl Dukes, who told me I should go after my passion, even if it wasn’t medicine. 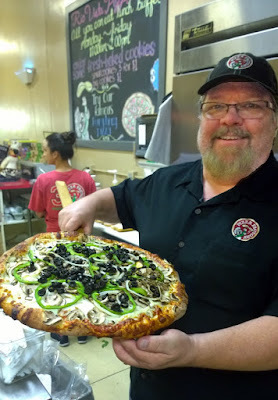 My dad didn’t take my decision to leave medicine for pizza lightly, but he’s seen how I’ve earned my way over the years, from being a co-owner at Alamo Pizza to starting my own place at Alamo City Pizza to eventually opening Halftime Pizza, where I've successfully filled the void in San Antonio for a family-friendly sports-related pizzeria. Dave Garcia: One time in my early 20s my dad and I were out running errands and went to a local pizzeria—just the two of us. It was the first time I paid for our lunch. We had a pepperoni pizza and two Peroni beers. It was one of the best lunches I’ve ever had. Now I always make sure to keep Peroni at the pizzeria. 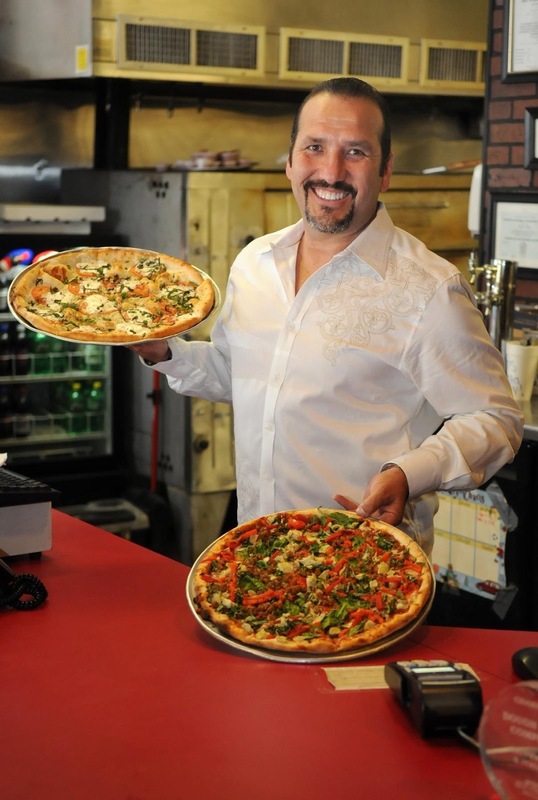 Dave Garcia: I usually order cheese or Margherita. If you can put out a really good cheese or Margherita, that’s great. If it’s somewhere I go all the time, I order the specialty pizza. I’m usually looking to see if they’re using fresh mozzarella, a screen, type of oven, etc. 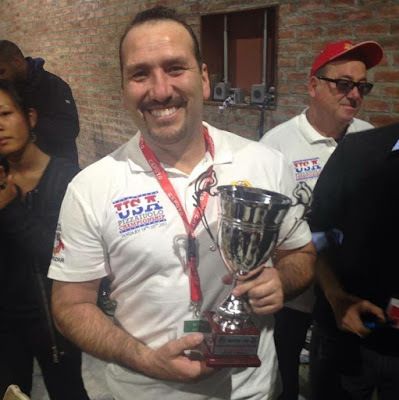 Dave Garcia: I communicate with Tony Gemignani through Facebook; I met him at Pizza Expo and respect how hard he works. Also people like Franco Pepe and Chris Bianco who are so great at what they do. Dave Garcia: Someone who respects the industry and the history of how they were making everything by hand and taking it back to its roots. If you can master that, I have nothing but respect for you. Dave Garcia: When Dr. Dukes told me to do what I’m passionate about. Also to do the right thing. If you can tell yourself that you’re doing the right thing before every decision, you’ll be alright. Dave Garcia: Remember why you got into it. If you’re truly passionate about pizza, it’s still stressful, but there’s an end to the stress. Weather the storm and keep your head up. The Pizza Insider: Can you name one thing that you feel will have the biggest impact on the pizza industry in the next five years? 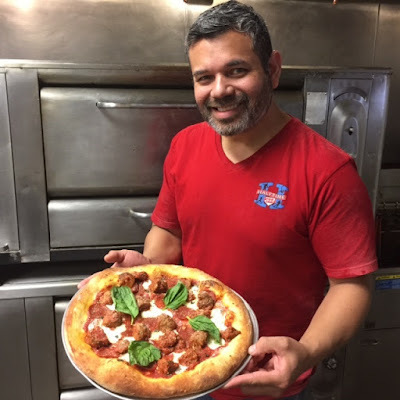 Dave Garcia: Because of the popularity of wood-burning ovens I think we’ll see people getting more creative with them, cooking more appetizers and desserts in them, not just pizza. I've never worked as a pizzeria delivery driver, but I imagine it can be pretty stressful trying to get all of your pizzas delivered on time without spending the night worrying about speeding tickets, nonexistent tips, or worst of all, a potential robbery. That's why it's exciting whenever something new is introduced that's designed specifically to help drivers out in the field. Last week I was talking with a representative from Square when he told me about an update to a technology called Open Tickets that has recently been made available to pizza delivery drivers. He put me in touch with Chuck Myers, co-owner of Scooter's Cafe & Pizzeria in Saugatuck, Michigan, who's been using the technology for the last few months. Chuck ran me through how it works and the benefits to Scooter's and its drivers. The Pizza Insider: Is there a reason you chose Square for your credit card processing? Chuck Myers: I've been using Square since I opened my restaurant four years ago because of its lower percentage rates and convenience. It also allowed me to process credit cards with my iPhone. So by going out into the field with my iPhone and swiping the card at the door, I could get a lower percentage rate. The Pizza Insider: How does swiping a card at the door affect your percentage rate? Chuck Myers: Most credit card processors will tell you about their fantastic rates, but those rates are only for swiped transactions. In a pizzeria, where you're doing delivery, most of your transactions are not going to be swiped transactions, they'll be transactions where you punch in the number over the phone, so you end up paying much higher rates. By using Square, I could go out with my iPhone and the paper ticket we created in the store and then I'd punch the order in on Square in my car and then run the card at the door and it was a swiped transaction. So I paid the lower rate for the transaction. What I really wanted was to be able to create the ticket in store and have my delivery driver go out and open the ticket up on their phone, which is the Open Tickets improvement Square made this fall. The Pizza Insider: How does Open Tickets work? Chuck Myers: Open Tickets lets you avoid a paper copy to begin with. Instead of having to go out and generate a paper ticket, you can put the order into Square and then hold it and pay for it later. When Square initially created Open Tickets, you could only use it on the iPad within the restaurant, but they finally expanded it this fall to be used on the iOS and Android devices out in the field. So now my kids, when they answer the phone, can put the order in on the iPad, and then my delivery driver can pull the order up out in the field and cash it out. It's the best of both worlds and is a great security measure, since you capture the customer's signature on the ticket. The Pizza Insider: Have driver's seen an increase in tips? Chuck Myers: Open Tickets allows the customer to leave a tip at the door. Traditionally, a receipt is printed and a customer can decide if they want to add a tip to the credit card at the door and then it has to go back to the restaurant and at the end of the night a restaurant would need to go through and punch all of those tips back in and then balance and rerun all of the credits. Alternatively, with Square, you swipe the card and it immediately comes up with a screen that asks if you'd like to add a tip and there are preset buttons of percentages. The customer doesn't even have to think; they just press the button. The tip is immediately added to the charge, the customer immediately sees what the charge is, and I can immediately email or text a copy of the receipt to the customer with the tip added to it. The customers love it and I think the tips have gone up since we added it. I love it because I don't have to punch anything in at the end of the day! Have you tried this technology or something similar? Let me know in the comments below! Favorite Hobbies outside of Pizza: Art--both painting and collecting, traveling, and spending time with family. Dennis Sheil: We went into the business on a whim! My parents owned a restaurant when I was a teenager and I always thought it was cool that they did. Later in life, they wanted to move from Iowa to California, so along with my wife, sister, and brother-in-law, we found them a house in a retirement community in the town of Rio Vista, about 30 minutes from where we live. After we were committed to the house, we realized that my parents had been going out for pizza every Friday night for about 50 years, and we didn’t know if there was a pizza place in town. As soon as we realized this fact, we headed to Rio Vista to see what they had to offer. As it turned out, there was a local Pizza Factory restaurant, which had been there for almost 15 years. With our first bite of the pizza we fell in love with the food. We couldn’t wait to share this gem with our parents when they got moved out here. We ended up driving to Rio Vista for pizza with my parents every weekend, and eventually became friends with the restaurant owners. Of course we talked about my parents having a restaurant years earlier, and talked about the pizza business on many occasions. One evening when we were there, the owners came out to our table, as they usually did, but said they had something they wanted to talk to us about. They said they always enjoyed talking with us about the restaurant business and they appreciated how interested we were in the pizza business. They then asked if we were interested in buying a pizza restaurant–specifically their pizza restaurant! They went on to explain that they were retiring, and thought we would be the perfect people to take over the business. Being the only pizza restaurant in town, and having 15 years of detailed financial records made it easy to perform our due diligence. After discussing it, my wife, sister, brother-in-law, and I decided to go for it. The Pizza Insider: What do you enjoy most about the pizza business? Dennis Sheil: As for what I enjoy most about it, hands down, it has to be the people. I love interacting with people, and they are especially friendly when enjoying a slice of pizza and a cold refreshing beverage. 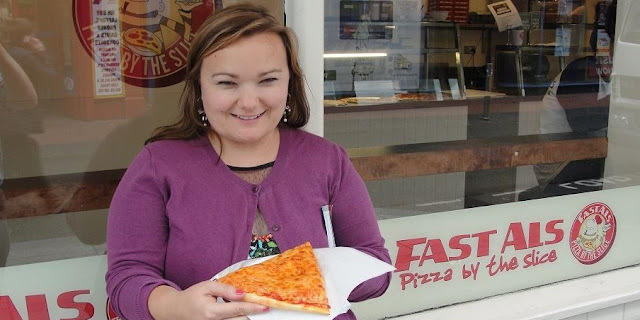 The Pizza Insider: Looking back on your original pizza goals, how do they match, or differ from, where you are today? Dennis Sheil: Overall my goals align fairly closely with where we are today. The restaurant is thriving, the employees are happy, customers love the food, and we live the lifestyle we want to live. Dennis Sheil: It’s always great to experiment, but consistency is the key. I also believe that part of being a great pizza maker is being a great business person. Customers expect a certain standard, and it takes a great pizza maker to ensure those standards. If your dough is dense one day and airy another, customers will notice. If your sauce is sweet one day but spicy the next, customers will notice. If you’re using high-quality toppings then switch to more “budget-friendly” toppings, customers will notice. Another aspect of being a great pizza maker is understanding the intricacies of your products. For example, if your dough is blowing up or not rising enough, you have to know how to make the proper adjustments. Dennis Sheil: Without a doubt it’s the wonderful memories I have of my young son enjoying Friday evening eating pizza with my parents who have now passed away. Dennis Sheil: I always order a sausage, mushroom, and onion pizza when we try a new place. I order this same pizza everywhere so I can try the different sausage flavors at different places, and also so I’m always comparing “apples to apples” at each place. Dennis Sheil: I’ve always been a huge fan of Big Dave Ostrander and have turned to him for advice on more than one occasion. Recently I was introduced to an incredible gentleman named Tom Frank. Tom’s business card lists him as a “Cultural Engineer” and it does not take long around him to see that the term is appropriate. His insight is remarkable, and I love the philosophy that works on the premise that by getting employees to buy into your culture, they share your values, are much more self-sufficient, more proactive, and require fewer rules and regulations because of it. Dennis Sheil: I have received more great advice over the years than imaginable. Unfortunately, often times you don’t know it was good advice until it’s too late. I’ll have to go with a quote from the late, great, Dr. Suess, "Be who you are and say what you mean. Because those who mind don't matter and those who matter don't mind!" 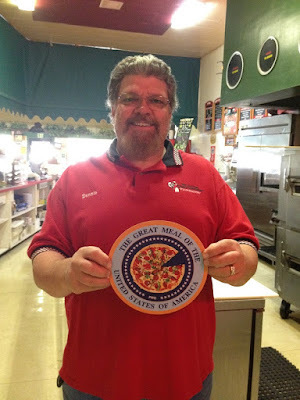 Dennis with PMQ's seal of the Great Meal of the USA. Communicate! Most people are not mind readers, and they don’t know what we want unless we tell them. We get so caught up in our own world that we sometimes forget to share information with those around us, and often times they are the ones who need the information most. Train, train, then cross-train. It goes without saying that having people really know their job makes it easier for everyone. What makes it even better is to have them know everyone’s job. After an employee is trained and very proficient at the position they were hired for, we start cross-training them in the other positions. This really helps when you get slammed and need someone to lend a hand or fill in somewhere other than their “normal” job. Delegate. I know this is hard. Everyone wants to have full control of their business, but the fact is, you can’t be as effective or efficient when you try to do everything yourself. Start small with simple tasks, and gradually work up to the point where you can hand off larger tasks. Make it fun. Make it fun for you, make it fun for your management, and make it fun for your employees. We encourage our employees to joke around, pull innocent pranks, and do the things that make them want to come to work. This is pretty easy once everyone understands “the rules,” and the rules are very simple; never say or do anything offensive to (or around) another employee or customer. Know where the line is between professionalism and being unprofessional, and never cross that line. Understand that you still have to get your work done properly and in a timely manner. Employees must self-police, not letting any other employee cross the line with anything they say or do. Don’t underestimate the plethora of incredibly valuable information in the PMQ Think Tank. After all these years in business, we still turn to the PMQ Think Tank when something unusual pops up. Chances are, if you have a problem, someone else has had the same issue and has addressed it in the Think Tank. Dennis Sheil: I believe fresh, local, sustainable ingredients are the way of the future. I think the generation coming up is more environmentally conscious than generations past, and I think their concerns for the planet will translate to the pizza industry in multiple ways.